Anthropology is the study of human beings in all their complexity. The scope of anthropology is truly global, as it aims to describe and analyze the full diversity of the human experience and cultural creativity across time and space. Anthropology recognizes that human beings are, simultaneously, social actors who create cultures and the products of those cultures. Using a broad array of research methods, including participant-observation and archaeological excavation, anthropologists investigate the historical composition of societies, their transformations, and their contemporary forms. We seek to understand the commonalities and differences in the identities, experiences, discourses, and beliefs of people around the world. We connect the details of people’s everyday lives to large-scale social systems and cultural forces and reveal that seemingly innate or natural differences among human groups are the result of historical, social, and political-economic processes. The curriculum integrates classroom and out-of-classroom learning, encouraging students to pursue off-campus study and independent fieldwork or research with collections. For more information about the department, honors/high honors, transfer credit, etc., visit the Sociology and Anthropology department page. The anthropology major consists of five required courses, a fieldwork requirement (FR), and four elective courses. Of the electives, one course must satisfy an archaeology, museum studies, or material culture requirement (MC), and one course must satisfy a geographic region or area requirement (GR). The department will accept for major credit no more than two courses taken at another institution and no more than one independent studies course in the department, except in special circumstances as approved by the department. Students not meeting the above grade requirements must consult with the department chair before continuing in the major. The major in anthropology requires that all students gain experience with ethnographic fieldwork, archaeological fieldwork, or material culture collections work. Such experience, which can be gained locally and/or abroad, ideally provides the basis for a thesis in the senior year. Other off-campus approved programs that involve opportunities for substantial experiential learning and/or independent research (subject to department approval). See Off-Campus Study for more information. Other options are available and we encourage students to work closely with faculty to explore multiple ways of fulfilling this requirement. At least two of these anthropology electives must be at the 300 level. 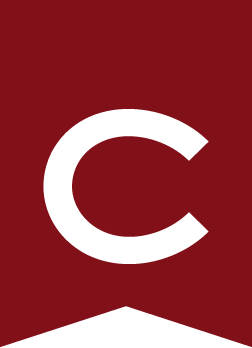 Two courses taken on a Colgate study group or approved program may be counted as electives. SOCI 201 - Classical Social Theory may count as an elective. To complete the thesis requirement, students must enroll in ANTH 452 in the fall semester of the senior year and must have completed the following requirements: ANTH 102 , ANTH 103 , ANTH 211 , and fieldwork. Students are expected to design substantive research projects grounded in recent anthropological theory and relevant literature on their topics and collect and analyze appropriate ethnographic or cultural data. To qualify for graduation, a minimum GPA of 2.0 is required in all courses counting toward the major.